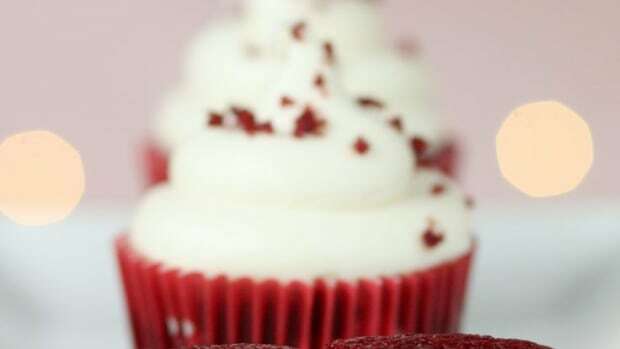 Need a blue-ribbon chocolate cupcake recipe? After testing nearly every cupcake cookbook and recipe out there, my mom and I agreed this is the best chocolate cupcakes recipe. Period. 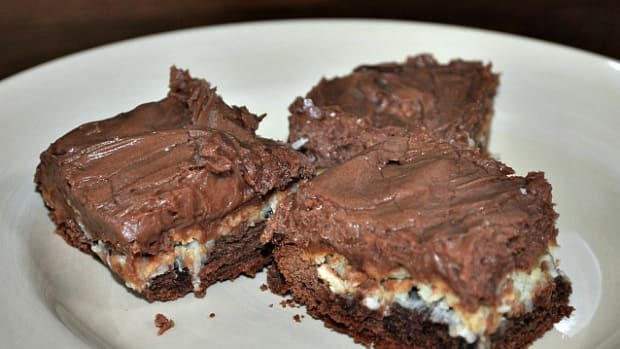 Moist chocolate cake with just a few chocolate chips mixed in — Mmm Mmmmm! What to do? 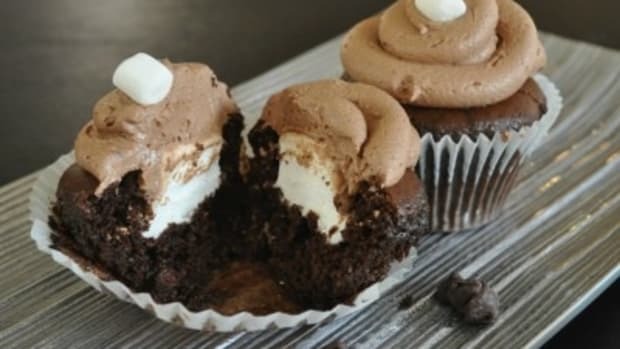 We used this favorite and created our own chocolate cupcake recipe by adding a large marshmallow after it comes out of the oven. Be sure to cover the marshmallow completely with frosting to keep your secret. Voila! Marshmallow Stuffed Cupcakes! Combine dry ingredients. Beat together sugar, oil, egg and vanilla. 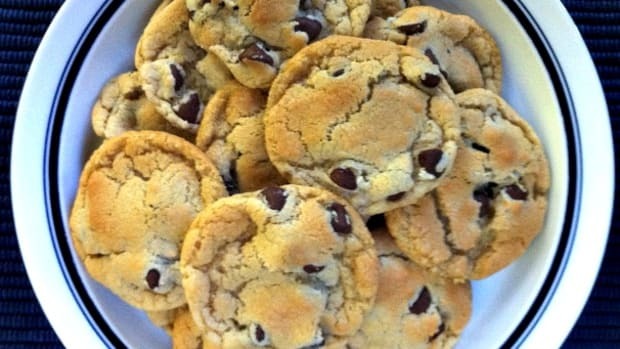 Whisk in dry ingredients and buttermilk, alternating, begining and ending with the dry ingredients. Beat until smooth. Stir in chocolate chips. Scoop into prepared muffin pan. 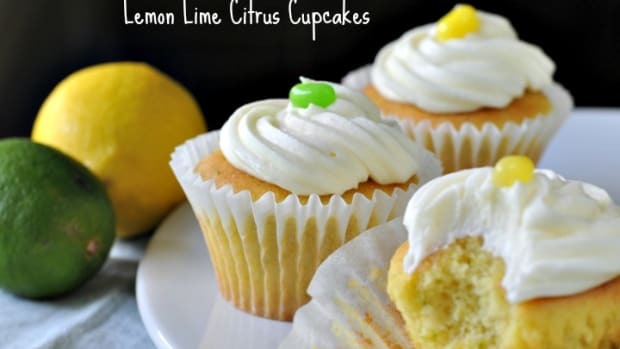 Bake at 350 for 20-25 minutes or until tops of cupcakes spring back lightly when touched. Let cool in pan on rack for 10 minutes; remove and cool completely on rack. Frost with Chocolate Buttercream Frosting. 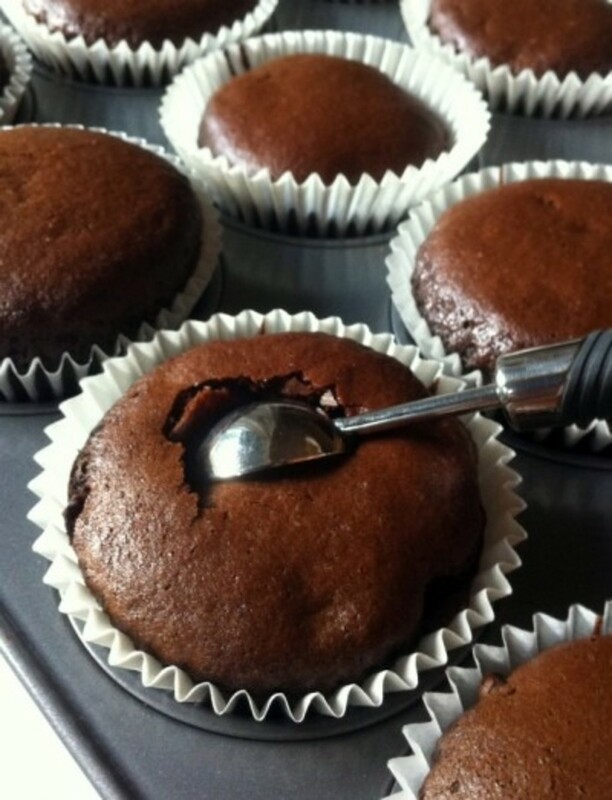 *Want to make the best chocolate cupcakes recipe even better? After cooling 5 minutes spoon or scoop small indent in center of cake and insert large marshmallow. 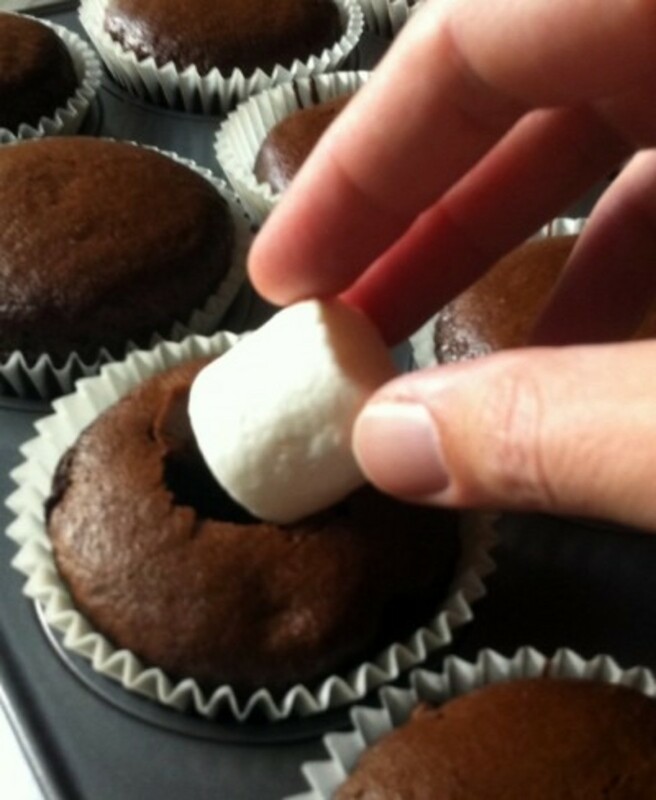 Marshmallow Stuffed Cupcakes! 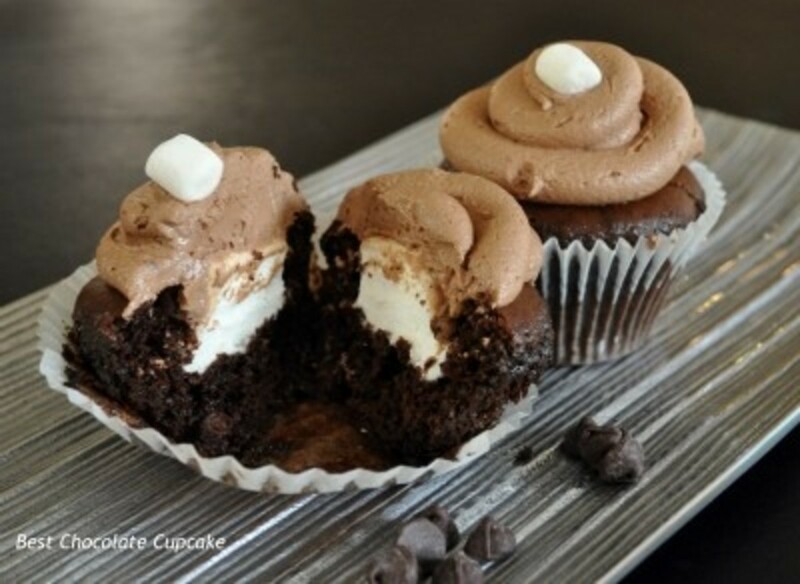 Enjoy this marshmallow stuffed chocolate cupcake recipe!